Share Data Limited is the leading market provider of Share Valuation services for Probate. We are a member of the Medallion Programme and one of the UK’s leading providers of Medallion Stamp Guarantee services, required for transactions involving U.S. securities. 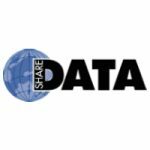 Since 1995, Share Data has been providing prompt, comprehensive, fair and accurate Probate Valuations for the full range of securities. Join the list of over 1000 law firms, executors, administrators, and private individuals who rely on Share Data to provide Share Valuation services that are fair, prompt and comprehensive. Arranging the sale and/or transfer of shares. We are accredited with the ISO 9001 certification since January 2013. This demonstrates our long-term commitment to maintaining and improving a level of excellence in delivering valuation services.